NASA will hold a press conference to reveal its latest findings from Mars this week. Few details have leaked about the mysterious new announcement, which will be streamed online from 7pm BST (2pm EDT) on Thursday 7 June. NASA is staying tight-lipped about what it has discovered on the red planet, but it has confirmed the announcement will feature ‘new science results from NASA’s Mars Curiosity rover’. 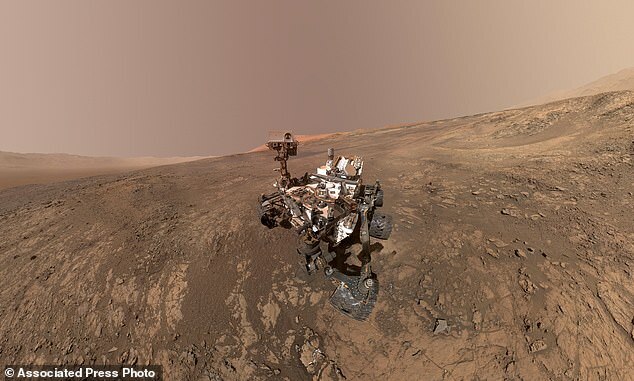 NASA’s Mars Curiosity rover was sent to planet Mars in August 2012 to to study its climate and geology as well as investigate whether the planet could sustain life or has liquid water. It is possible the new ‘science results’ from the rover could relate to Martian life. NASA has not announced where the event will be held, but it is likely the agency will host it at its headquarters in Washington, DC. Given that Curiosity recently started to drill into the Martian surface for the first time in 18 months, it is also possible the announcement relates to something unearthed by the rover. Curiosity was forced to abandon plans to take samples from the surface of the planet after mechanical issues took its drill offline back in October 2016. However, NASA engineers developed a new technique to restore the robotic explorer’s drilling ability, using its robotic arm to push the drill bit forward as it spins, much like a human might operate a drill. The new drilling technique, dubbed Feed Extended Drilling (FED), keeps the drill bit extended beyond the stabiliser posts, which were previously used to steady the drill against the rocks. Engineers developed the technique using an exact duplicate of the Curiosity rover on Earth. 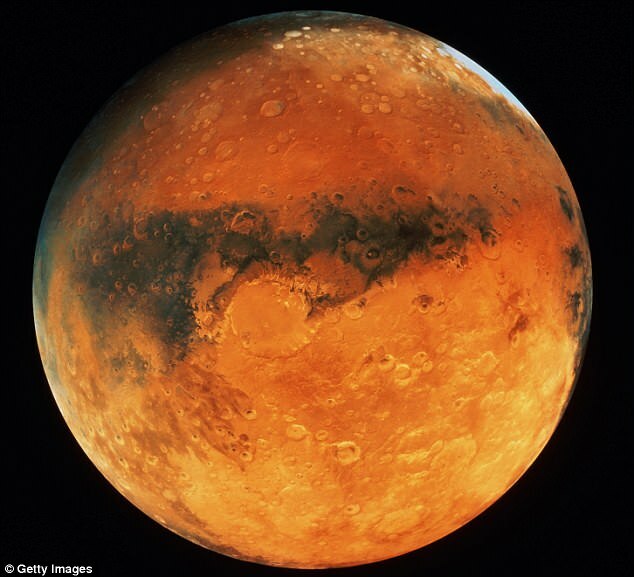 It took almost a year to devise the method, which was successfully used on Mars on 20 May. Ashwin Vasavada, project scientist at Nasa’s Mars Science Laboratory at JPL — the official title for the Curiosity rover’s £1.9 billion ($2.5 billion) mission, is scheduled to take part in the press conference later this week, further fuelling speculation the announcement relates to something uncovered by Curiosity. Michelle Thaller, assistant director of science for communications in Nasa’s Planetary Science Division, based at its headquarters in Washington DC, will host the event. Also on the bill is Paul Mahaffy, Solar System Exploration Division Director at NASA’s Goddard Space Flight Center in Greenbelt, Maryland, and Jen Eigenbrode, a research scientist at Goddard. Chris Webster, a senior research fellow at NASA’s Jet Propulsion Laboratory in Pasadena, California, will also be on the panel on Thursday. NASA will live stream the event on its Nasa TV channel, as well as Facebook Live, Twitch TV, Ustream, YouTube and Twitter. Viewers will be able to put questions to the panel by using the social media hashtag #askNASA. The Mars Curiosity rover was initially launched from Cape Canaveral, an American Air Force station in Florida, on November 26, 2011. 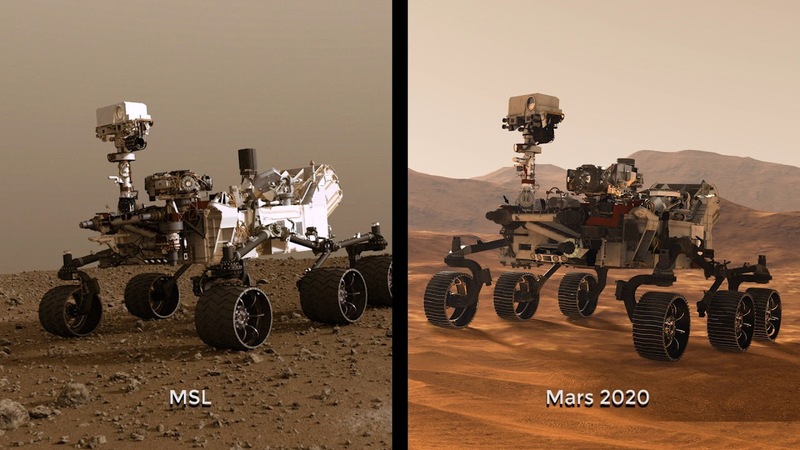 The rover was initially intended to be a two-year mission to gather information to help answer if the planet could support life or has liquid water, as well as study the climate and the geology of Mars. However, due to its success, the mission has been extended indefinitely and has now been active for over 2,000 days, sending back thousands of pictures during its lonely mission. The £1.8 billion ($2.5 billion) rover has since travelled about 11 miles (18 km) on the Martian surface. Curiosity will be superseded by a new NASA rover in 2020, which will collect Martian soil in up to 31 pen-sized canisters which will be sent back to Earth for analysis. 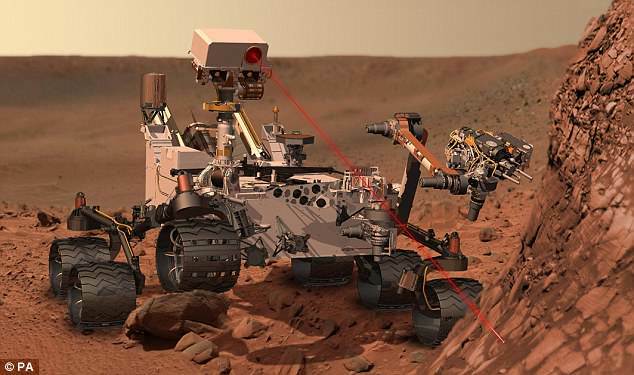 The ambitious plan also involves a rover developed by the European Space Agency (ESA) called ExoMars, which is set to reach the red planet in 2021 and will simultaneously drill deep into the surface to look for evidence of life. NASA’s ExoMars rover will be capable of drilling as far down as 6.5 feet or two meters. The second step of the joint NASA-ESA mission will launch a ‘fetch rover,’ which will retrieve the samples from the other rovers. Then, it would return to its lander and place the samples in a small rocket dubbed a Mars Ascent Vehicle. This will launch the container holding the samples to Mars orbit, where it will be collected by a spacecraft – which would require its own separate launch from Earth. After gathering the samples and loading them to an Earth entry vehicle, the craft would return to Earth with the Martian soil. The opportunity to analyse Martian soil would provide unprecedented access to the red planet’s history and its potential to host life. Time Travel, how it really works, explained so a newbie can understand.